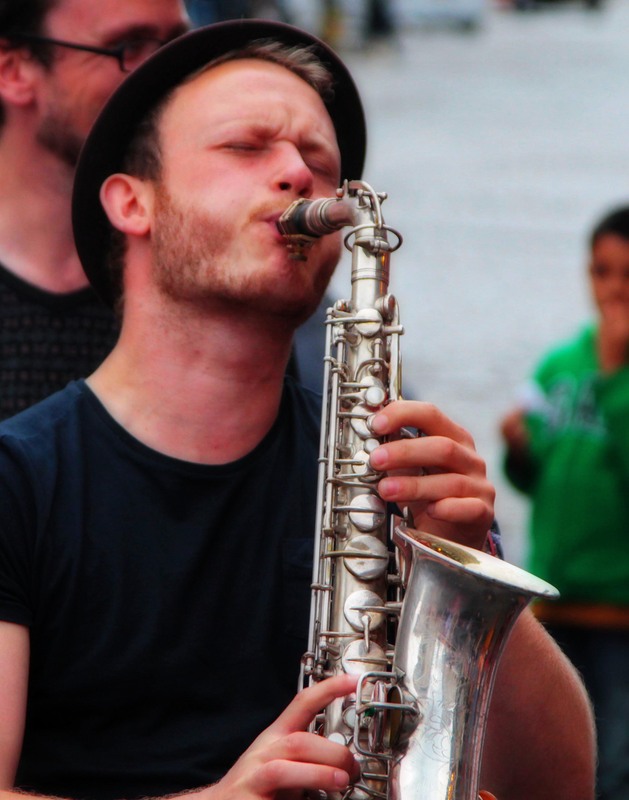 This is a sax player on the Royal Mile in Edinburgh entertaining the crowd during The Edinburgh Festival. The Edinburgh Festival is a collective term for many arts and cultural festivals that take place in Edinburgh, Scotland each summer, mostly in August. Though the festivals are put on by various organizations unrelated to each other, and so are officially separate events, they are regarded by many visitors as part of the same event; and together they form the largest annual cultural festival in the world.